With expertise in proven ceramic technology, a broad range of pressure transmitter are available ranging from pressure sensor type 400 to 680. The included types consist of those ideal for use in electronic control systems i.e. in direct processing, ideal for use in heating and industrial circuits i.e. for evaluating water pressure ratios. The devices come with displays and also with current or voltage outputs. A number of application-specific pressure and electrical connections can also be provided wherever required. Some of the sensors are ideal for nonstop measurement of level in household machines such as washing machines, dishwashers, some are specially developed for use in the refrigeration technology in the industry which includes ammonia technology and also in the shipbuilding industry (due to the thick film technology where the pressure measuring cell is fully welded and the high burst protection demands are met by the pressure transmitter). The range of transmitters include transmitters that have a compact and robust design and the accuracy of measurement is very high. These devices come with pressure ranges from 50 mbar or 100 mbar full scale, plus a hefty assortment of electrical and pressure connection. 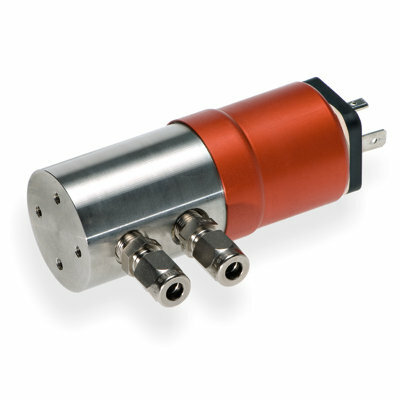 A few in the sensors’ range are compact OEM pressure transmitters. These devices meet the most extensive requirements in terms of mechanical duress, EMC compatibility, and operational reliability, which means that the ranges most ideal for demanding industrial applications are also available. Our sensors also use combination with a distinctive integrated electronic design which means that for all temperature ranges, the series give accuracy of the highest degree. This technology is also able to support direct assembly, without requiring the user to make any type of adjustments for either temperature or pressure. An amplified ratio-metric output signal helps to make it possible. Few of the sensor types can be adjusted according to temperature, amplified and can also be calibrated in terms of sensor signals. There are some types that fulfill all requirements and certifications when it comes to the ship-building industry, mobile hydraulic applications and vehicle manufacturing. Moreover, individual designs for special applications’ requirements are also possible, due to a refined building block system. Some sensor ranges are ideally designed for large batch production in OEM applications.